By now, even the house pet got it that Samsung will be rebranding its Gear line of accessories and wearables with the Galaxy one, to fit in with its more popular portfolio of smartphones. 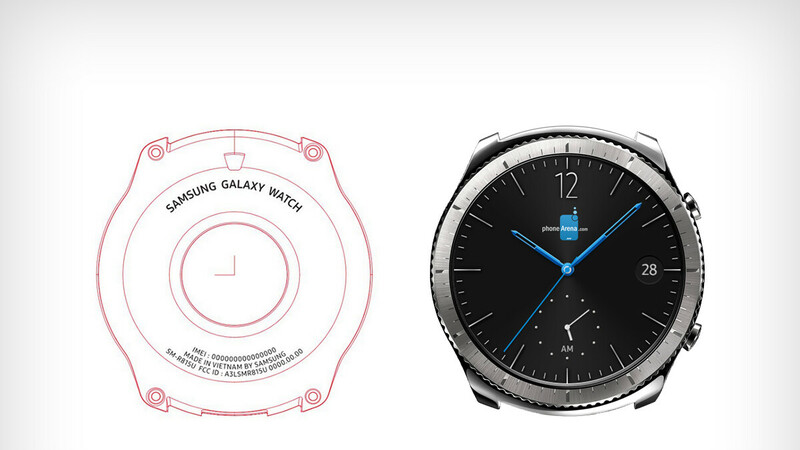 Perhaps the most visible change will land in the form of the Galaxy Watch. Samsung's upcoming most popular wearable won't carry the Gear S4 title, it seems, and it is very close to release, perhaps even with the Note 9's Unpacked event next week. It got certified by the FCC, and now the Galaxy Watch radios have been approved by its Korean equivalent. The North American model numbers are SM-R815U for the U.S. and SM-R815W for Canada, as well as SM-R805U which is larger at 48mm with a 1.3-inch display, compared to the 43.4mm case and 1.2-inch screen on the SM-R815. The larger version of the Samsung Galaxy Watch (SM-R805) appears to sport a different case than the smaller unit (SM-R815). Check out the image at the top of this article; the larger model is on the left. Both variants of the Samsung Galaxy Watch support the same LTE bands, which means that the larger unit will also be compatible with the LTE networks of all four major stateside carriers. Both models also support Wi-Fi (802.11b, 802.11g, 802.11n). In Korea, the variants listed are SM-R800, SM-R805N, SM-R810, and SM-R815N, as you can see below, perhaps the different sizes with and without LTE connectivity. We can't wait for next Thursday when the Galaxy Watch might make a cameo, to gauge whether the new moniker will lead to different pricing at launch, too, compared to the Gear S3 starting price.